Timbavati is one of a handful of nature reserves on the western boundary of the Kruger Park that are now an integral part of the Kruger Park system. Collectively termed the Association of Private Nature Reserves, these wildlife-rich lands adjoin and are managed in cooperation with the Kruger National Park, forming a unique combination of public and private lands called "The Greater Kruger Park". The new conservation entity, created in the early 1990's, contains no internal fencing (apart from that which is used to enclose a few isolated camps, and thus "exclose" dangerous game animals). This opened up a vast stretch of wild land to the free movement of wildlife throughout what is now effectively a single conservation area. This situation is good for both wildlife and tourists: wildlife have access to more resources for meeting their permanent, seasonal, and episodic needs; and tourists are offered a wider range of eco-tourism facilities. 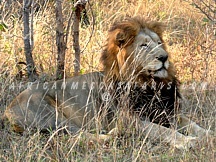 The Timbavati boasts 40 species of mammal including the Big Five; Lion, Leopard, Elephant, Buffalo and Rhino. 360 species of bird make the Timbavati a bird lover's paradise. 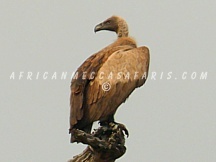 It is possible to see more species of bird in one day at the Timbavati than you have ever witnessed in your life. On night drives, the smaller nocturnal mammals such as porcupine, serval, genet and civet can be seen among others. The terrain is undulating with altitudes varying between 300 and 500m above sea level. The area is characterised as 'savanna bushveld' with 6 different landscape types: acacia woodland, open woodland, mopane woodland, combretum woodland, mixed combretum woodland and mixed veld on Gabbro. Elephant, buffalo, kudu, zebra, wildebeest, giraffe, impala, waterbuck and warthog abound together with their attendant predators which include lion, leopard, cheetah and hyena. The critically endangered African wild dog is also a regular visitor to the Timbavati Reserve. The larger and rarer antelopes such as Roan, Eland and Tsessebe have been slow to return to this area and their numbers are still critically low. The climate is typified by a summer wet season (October March) with the majority of rain falling between December and February. This is also the hottest time of the year, with temperatures in the region of 32 °C. A typical summer day will be hot with storm clouds gathering for a spectacular late afternoon thunderstorm. During the winter months (April September) the weather is dry with little chance of rain. 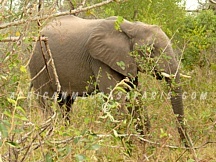 As game tends to congregate around dwindling water sources, game viewing is more predictable. Temperatures can range from 28°C to 10°C in one day. The mornings and evenings can be very cold and warm clothing is advised. 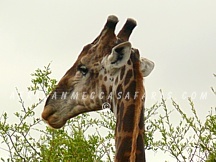 The Timbavati Association was formed in 1956 by a group of conservation minded landowners who had witnessed the degradation of this once pristine wilderness area. Insensitive land use (primarily crop and cattle farming) had caused soil erosion and destruction of indigenous plant species. In addition, natural water sources had been rerouted by dams further impacting on the natural status quo. As a result, much of the wildlife common to this area was lost. The fledgling association persuaded each land owner to become part of a group with a common aim to reclaim the land for the benefit of all. Today, the group has 50 members, who have succeeded in restoring the land to its former glory with diverse and rare wildlife species making the Timbavati their home. In 1993, in recognition of the importance of the area, the fences between the Kruger National Park and the Timbavati Reserve were removed to encourage natural species migration. Plans are in place to have the Timbavati Reserve proclaimed part of the Kruger National Park which will secure its future as a valuable piece of South African heritage. Man's incursions into this part of the Lowveld have always been temporary and brief, from Early Stone Age down to the early 20th century. In point of fact, large tracts of land in the northern portion of the Lowveld were never permanently settled by man, and the lands now comprising the Timbavati were barely touched, and are still only lightly inhabited. This part of South Africa's bushveld region may therefore be regarded as truly unspoiled and deserves recognition as truly wild land, as opposed to the "restored" and "restocked" lands commonly found elsewhere.